Another year has come to an end and we all know what that means: another long list of New Year’s resolutions that will most likely be forgotten by February 1st. Ever wonder why that happens? Here’s our theory. But we think it’s possible to make a commitment to cleaner eating and actually enjoy it. There are sooo many ways to make nutritious, good-for-you food appealing and delicious. All you need is a little imagination and willingness to step outside the box. And this recipe is a great way to get you started. 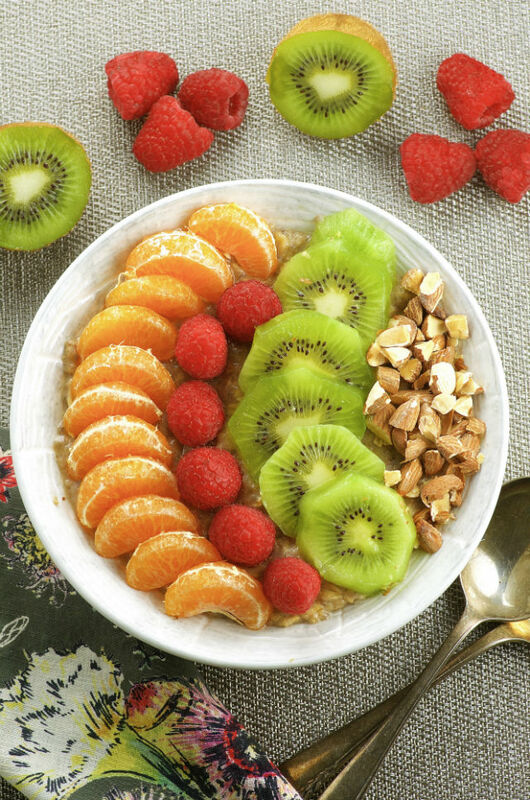 This beautiful oatmeal bowl will make you forget all about that mushy, instant stuff you get in little packets. It’s slightly sweet and creamy with a hint of cinnamon and fiber rich chia seeds, topped with vitamin C packed fruit ( great for your immune system!) and heart-healthy almonds. It’s so beautiful and delicious, it will make you want to dive first into the resolutions. Combine almond milk, chia seeds, maple syrup and cinnamon in a sauce pan. Whisk to combine and heat over medium-low heat until small bubble start to form on the sides. Add oats, reduce heat and simmer for 2 minutes. Add mashed banana and continue cooking for another 3-4 minutes. 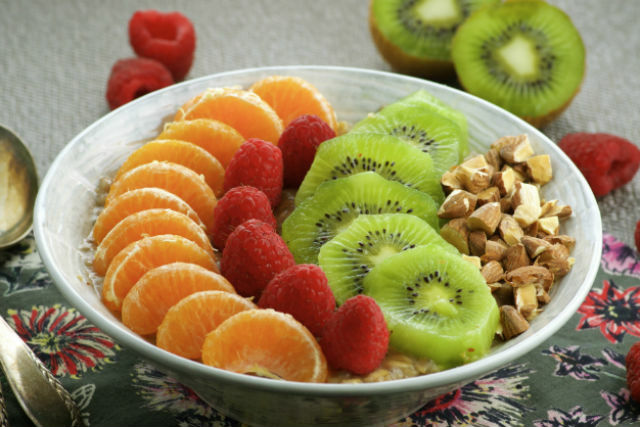 Transfer warm oats to a bowl and top with fruit and chopped almonds. Decadent and delicious, this challah variation is the autumn comfort food of your dreams. Classic challah French toast with just a hint of spice.